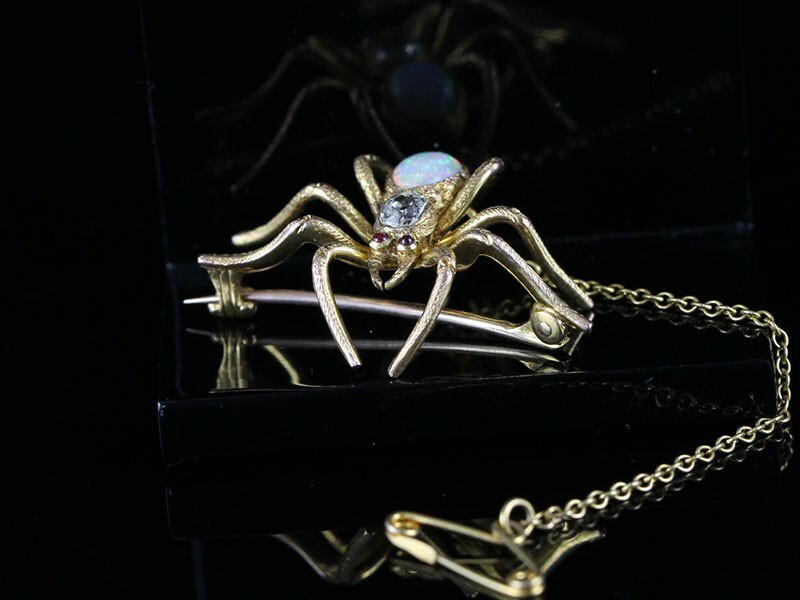 On offer is a beautiful and rare Edwardian 15 carat Gold Spider Brooch set with two rich deep red Rubies, for the eyes, a 40 point Old Mined sparklilng Diamond and a natural Opal, from Lightening Ridge, for the body. 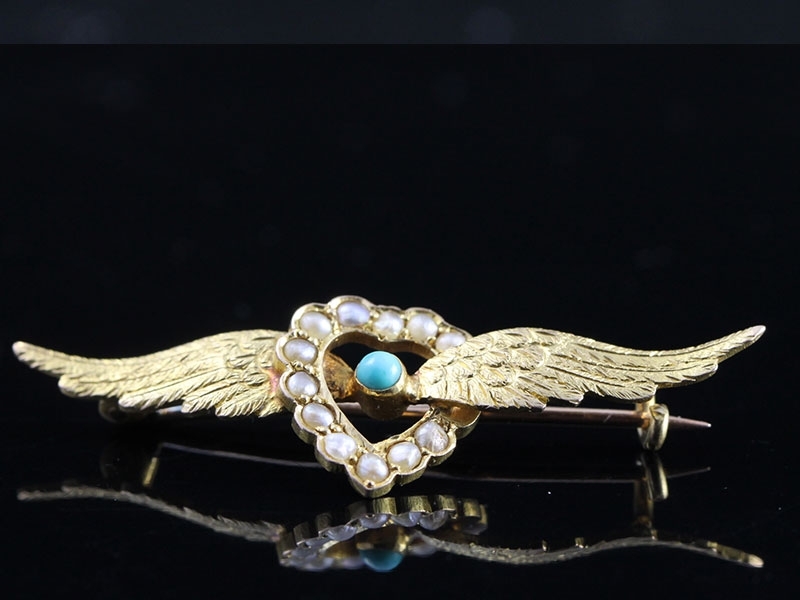 Stunning Edwardian seed Pearl and Tourquoise wing brooch in the form of a heart, the symbol of love!! 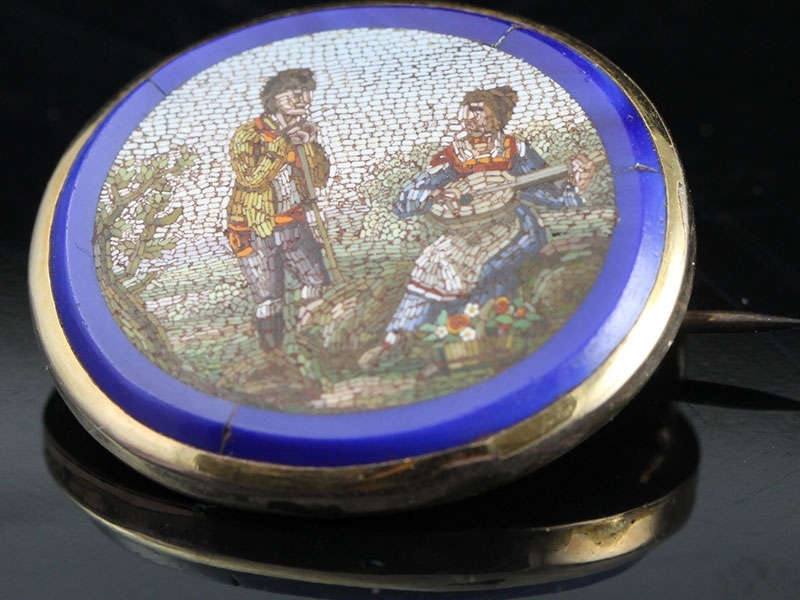 In the early 19th Century it was usual to make the pictures up out of hundreds of tiny coloured glass pieces and tiles (Tessarae) and mount them into jewellery. 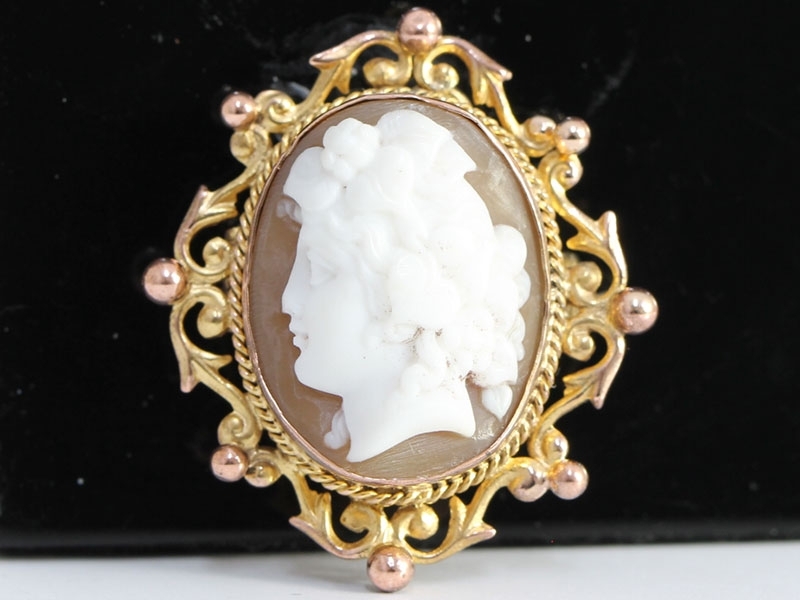 This charming Victorian , Egyptian Revival pin dates to circa the 1880�s. 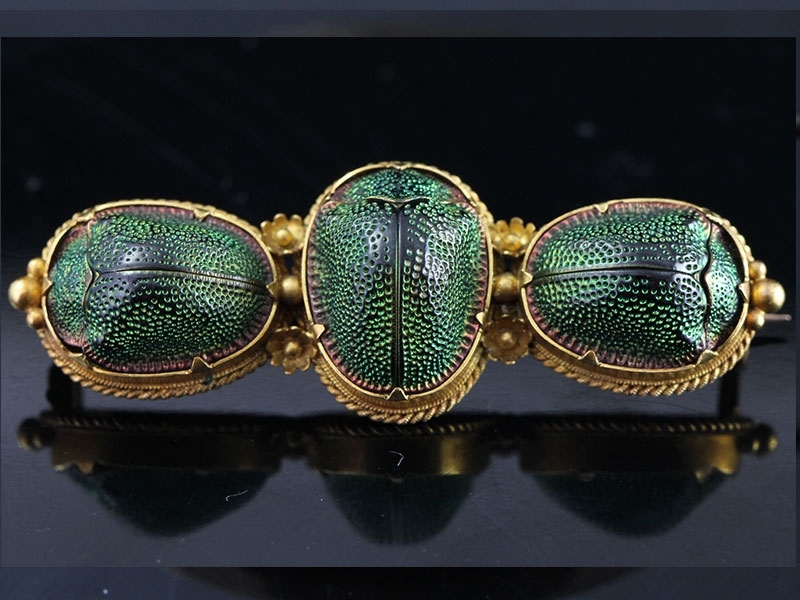 It is composed of a three natural scarab beetles mounted on 15 carat gold. 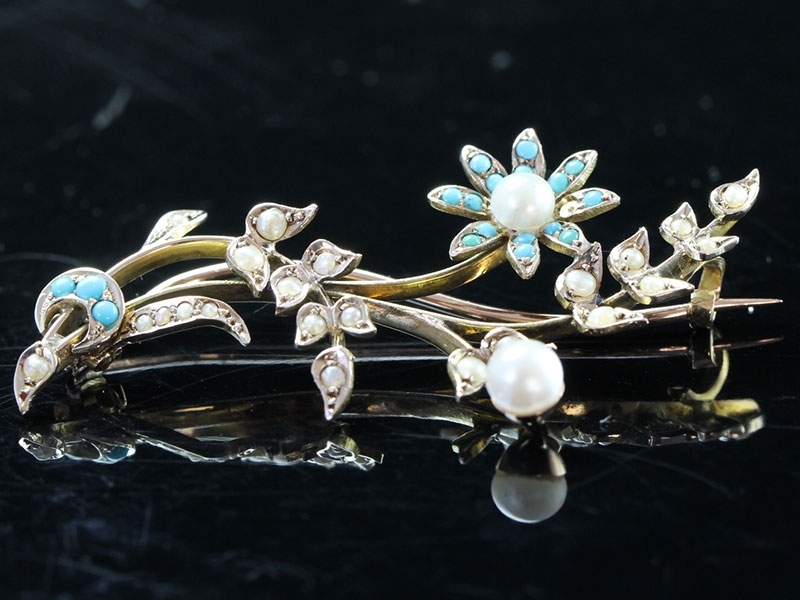 For captivating glamour, look no further than this fine striking and sizable Edwardian 15ct Gold Natural Seed Pearl and Turquoise Set floral spray brooch - Circa 1900. Swallows faithfully returning home. 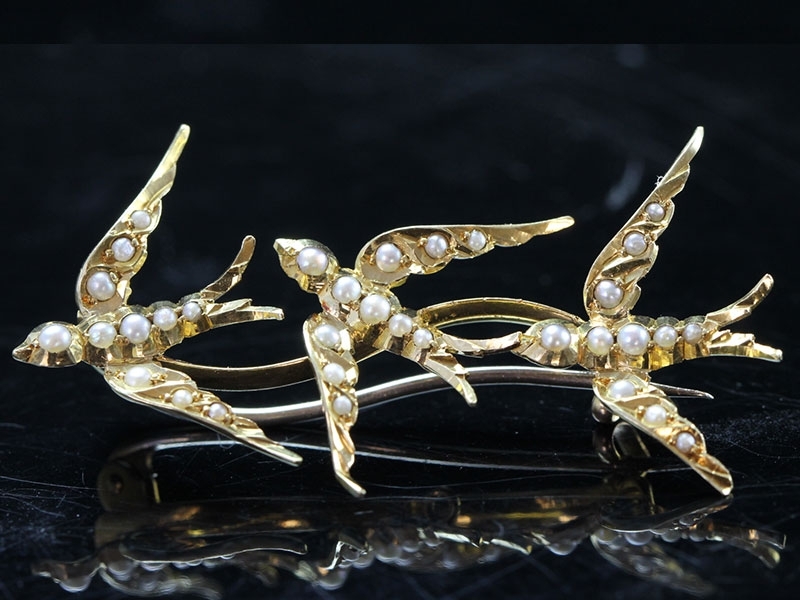 A pretty and distinctively Edwardian brooch, designed as three Seed Pearl set swallows in flight, on a curving bar. 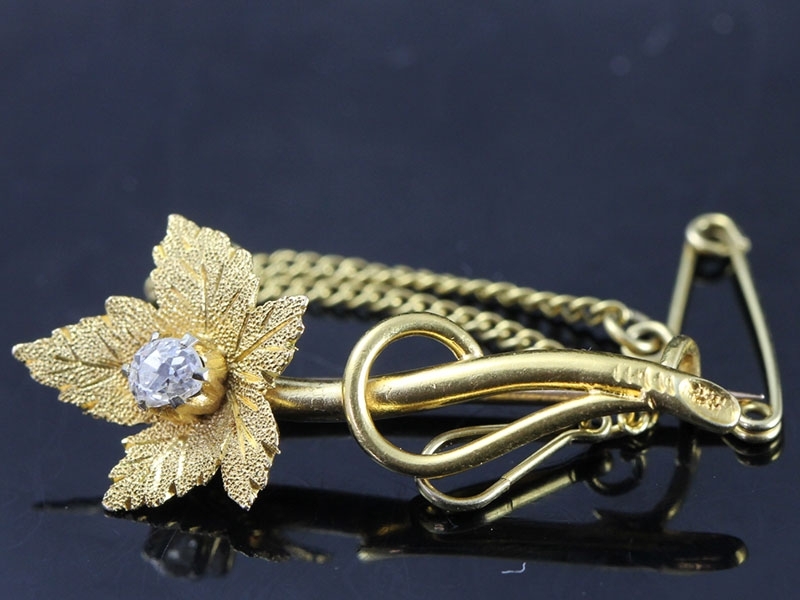 A lovely antique bar pin with a graceful design of a flower motif boosting an old mine cut sparkling Diamond, Circa 1900. 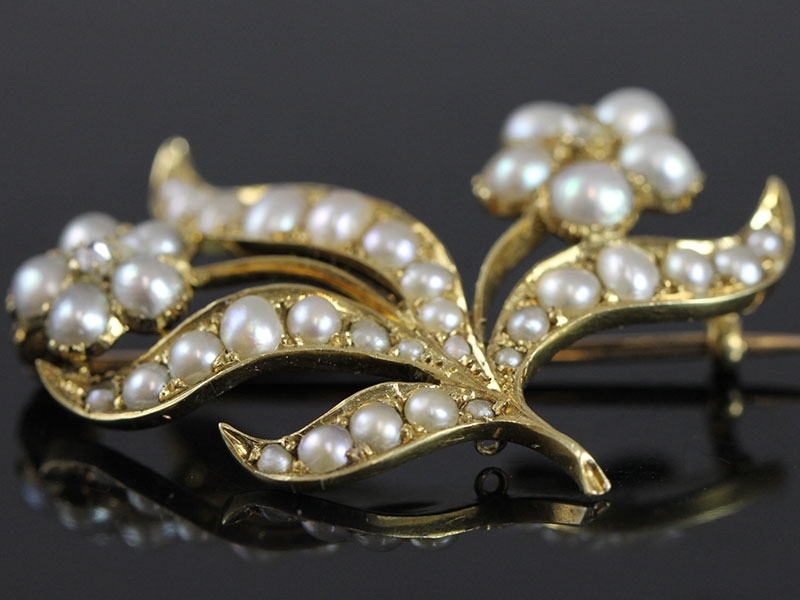 An enchanting flower brooch featuring thirty three natural Seed Pearls, an Edwardian brooch to enjoy and treasure. 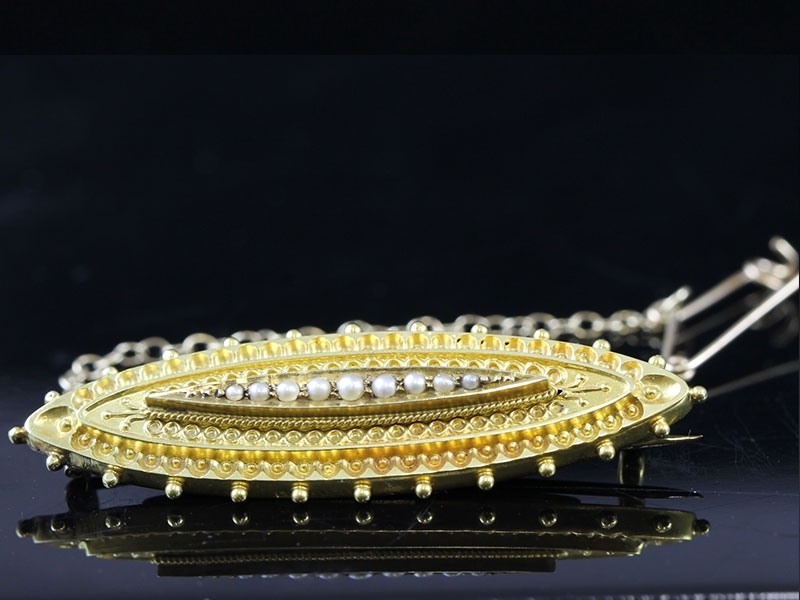 Absolutely stunning Citrine and fresh natural Pearl brooch. 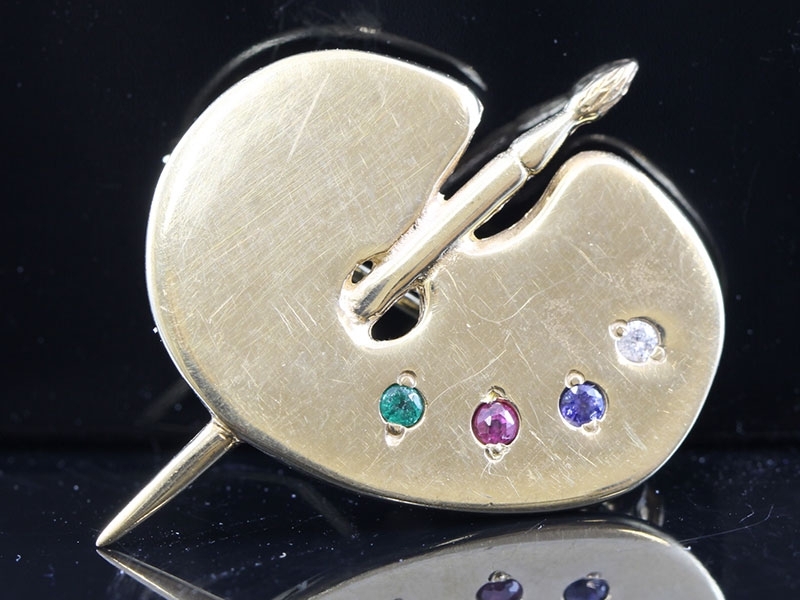 An Arts and Crafts Circa 1880 hand made piece from the Scottish School of Design, a very fine and unusual example. 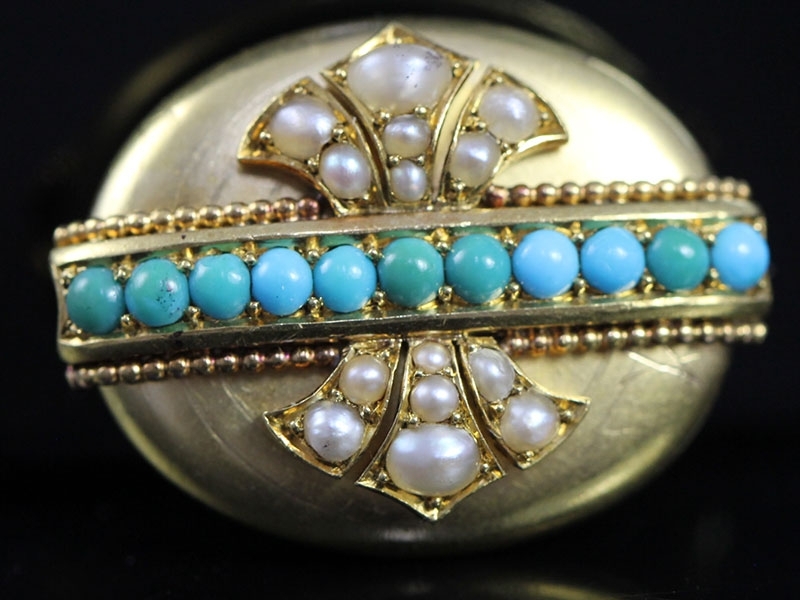 This is a wonderful example of an Edwardian bar brooch pin hair locket. 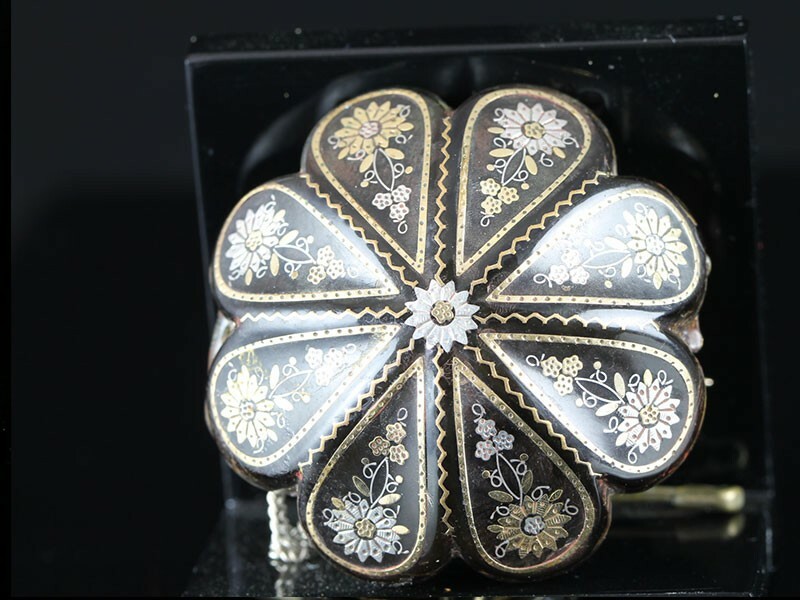 A treasure that dates Circa 1900. 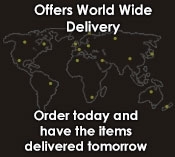 A perfect gift for any artist in your life! 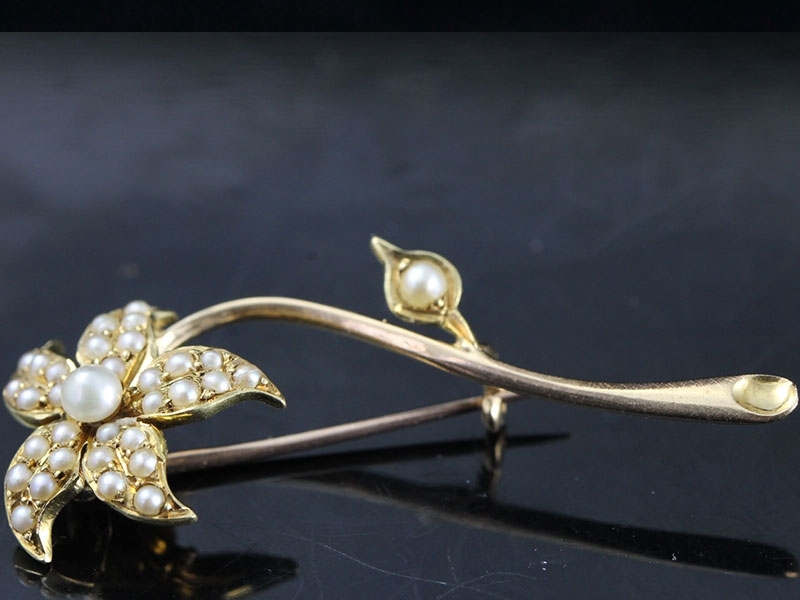 A stunning Edwardian Seed Pearl and Diamond floral brooch, Circa 1900s, your guarantee of quality and beauty to enjoy for many years. 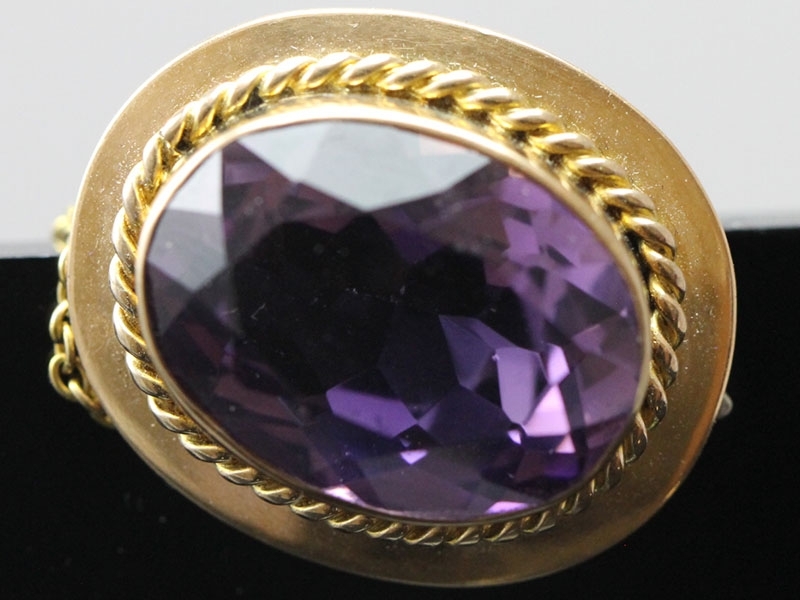 A luxurious 15 carat yellow Gold brooch highlighting a magnificent oval cut Amethyst, weighing an impressive 6 carats. 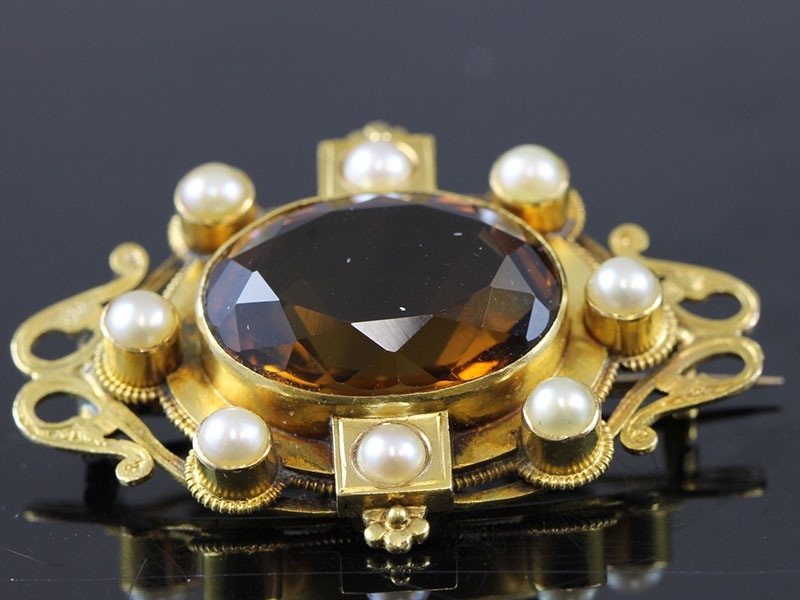 A beautiful Edwardian brooch of fine craftsmanship, a rare find!